While watching television over the past week, I was struck by how many commercials I saw advertising reverse mortgages to seniors. On just about every channel I watched, there was a commercial showing seniors how financially beneficial a reverse mortgage could be and generally glossing over any downsides to the transactions. But for seniors 62 years old or older looking forward to get into retirement, getting a reverse mortgage is a viable option to tap into your home’s equity, which can be done in various ways and can be customized to how you want it to work. To me, it seemed like an offer that was too good to be true. I was sure that there had to be some issues occurring with reverse mortgages that no one was talking about. After a bit of research, I discovered that I was right. A reverse mortgage is a type of loan that allows older homeowners to borrow against the accrued equity in their homes and use that money as income during their retirement years. According to the National Reverse Mortgage Lenders Association, more than 51,000 homeowners secured reverse mortgage loans from the Federal Housing Administration (FHA) in fiscal year 2014. Most of the commercials that I viewed for the reverse mortgages contained reassurances that the senior would be able to keep their home and that they would be able to live in their home as long as they liked. This was true…to a point. Some seniors are at high risk of losing their homes after getting a reverse mortgage, often because they don’t have enough money to pay the homeowners insurance and property taxes for the home. The senior can also be in default on the loan if they fail to make necessary repairs in a timely manner. If the senior fails to meet all of the requirements of the loan, they must either pay back the loan amount immediately – which is unlikely if they are already facing financial difficulty – or they must give up the home to the lender. Today, seniors are living longer than ever before, lengthening the amount of time that they need to stretch their retirement savings. 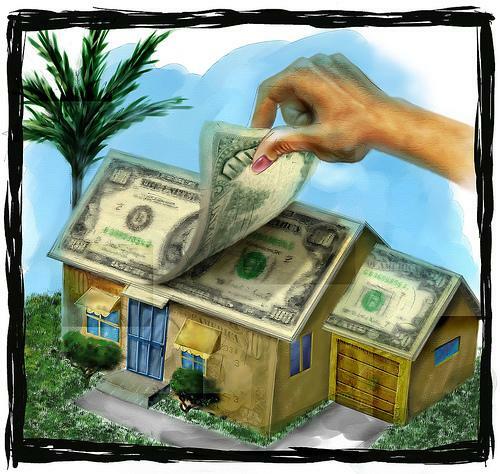 A reverse mortgage looks like an easy, risk-free way of getting some additional money for your expenses during your retirement years, but the money is not guaranteed for the life of the homeowner. If the loan is obtained too early, then there won’t be any money left from the loan in the person’s later years, when they may need it the most. Worse, the home’s equity has been drained off by this point, leaving seniors with few options for continuing to fund their retirement. Many people fail to understand that a reverse mortgage is a loan that has fees and interest rates associated with them to make money for the lender…just like every other loan in existence. The word “loan” is used sparingly in commercials for reverse mortgages because the companies don’t want you to think about how much you are going to pay for the reverse mortgage. They only want you to think about how much money you would get. Instead of a windfall, a reverse mortgage is more like a personal loan with your house as collateral if you, or your children, cannot pay back the loan in full.